Brics nations’ New Development Bank intends to expand beyond its member countries. It seeks to raise funds from other markets at cheaper rates. The bank’s governors are meeting in Cape Town. The bank has already disbursed billions in loans to its five-member countries. 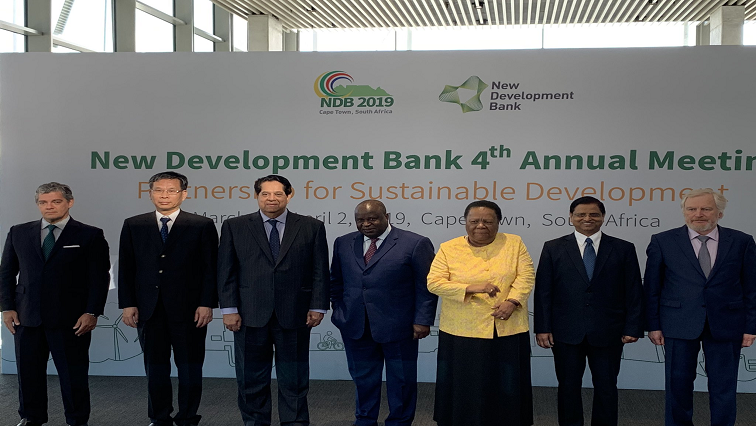 Its president says the bank has based its lending on long-term, sustainable development projects across all member states. On Monday, South Africa’s parastatals, including the embattled Eskom, signed another loan agreement to the tune of over R700 million. The country is expecting to receive over R2 billion in investments from the bank annually. The bank’s President, K.V. Kamath says they will support and invest in other long-term infrastructure projects. It is targeting Africa, the second fastest growing continent, as its next investment destination. According to the World Bank’s recent report, although Sub-Saharan African countries experienced modest growth of about 5% in 2018, poverty had nevertheless increased drastically in the same period. The Brics bank intends playing a role in reducing it. The meeting will continue on Tuesday. The post Brics bank to expand beyond member countries appeared first on SABC News – Breaking news, special reports, world, business, sport coverage of all South African current events. Africa's news leader..